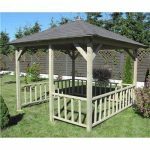 Jagram presents the 6-sided Winchester Large Gazebo – a stylish and sophisticated addition to any garden. 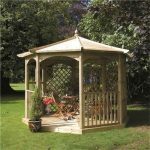 Complete with wonderful tiling, balustrade and trellis it has lattice walls and benches too (seating is extra) – simply incredible and bound to turn heads in your outdoor space. 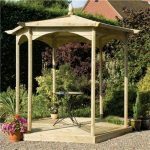 The timber it is constructed from is pressure treated so the Gazebo will last for years to come and is such a beautiful place to sit and admire your plants and flowers or shade yourself from the sun in the summertime. 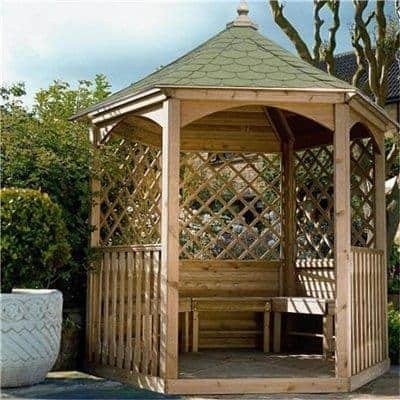 The perfect Gazebo. 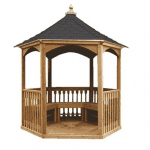 I ordered this gazebo 2 months ago. It is even more breath taking in person than online. 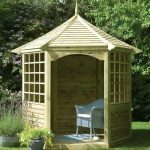 I love how you can have a bench wrap around on the inside. That is how mine is set up and I love it. 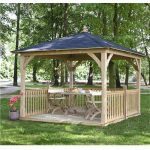 Although the size is small, I had to give the rating a good rating because like I said, you can have the wrap around bench on the inside so it does have the potential. The price is basically okay if you don’t mind paying for the quality. I love the way this is made and the quality it has. It was worth the price and I am glad I was able to invest in it.